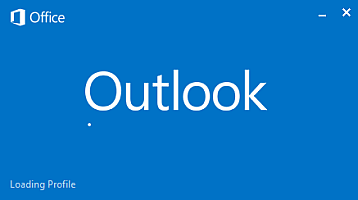 When considering the installation of a new version of Microsoft Outlook (MS Outlook 2013), you must know that Outlook 2013 no longer uses the suggested contacts. If you install Microsoft Outlook 2013 as an update Outlook 2010 or 2007 then you can still use the suggested contacts that were created with previous versions of Outlook but as a read only. Unfortunately, Outlook 2013 does not allow you to add new suggested contact but it allow you to use sugested contacts added by previous versions of Outlook. However, if you install Microsoft Outlook 2013 on new computer as a new installation then you have forget about suggested contacts. In a clean Outlook 2013 installation, Suggested Contacts is no longer available, the folder never is created, and no suggested contact items are created. On the other hand, it is a good thing, because sometimes it happened that we had to remove mailbox and then we assumed it again for some time. Then lot of users store previous mailbox address in suggested contacts and when they sending a message most often used with hints Outlook, which was no longer valid, and send message to this mailbox resulted in the receipt of information about the non-delivery of messages. The solution was to remove a suggested contact or in some cases all suggested contacts. 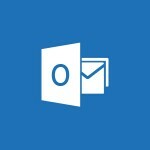 Therefore, with the introduction of Microsoft Outlook 2013 problem disappears. Tagged Microsoft Outlook 2013, Suggested Contacts. Bookmark the permalink.